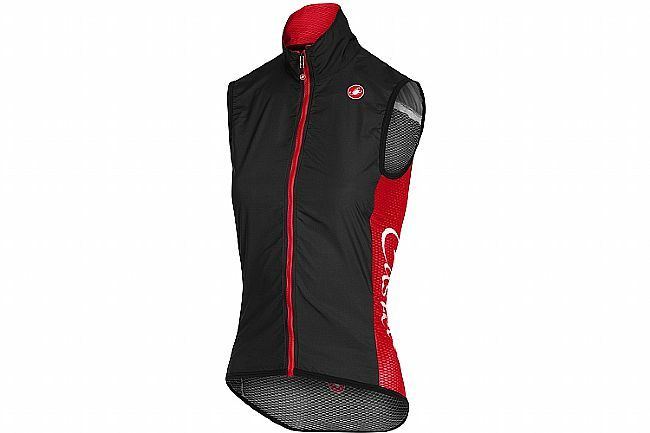 The Castelli Pro Light Wind Vest is a wind-proof vest that packs down small to keep the rider protected when and if it's needed. 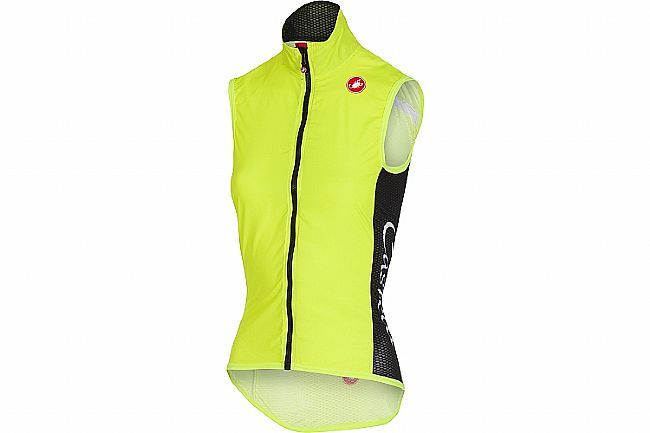 Weighing just 66 grams and folding down to the size of about two energy bars, this vest is perfect for chilly mornings that turn into mild afternoons; or rides with lots of elevation change, needing protection on the descents but not on the climbs. A full-length YKK® Vislon zipper provides easy adjustment and locks in place when not in use for secure ventilation. Printed woven front and shoulders with low air permeability to block wind while remaining breathable. Full-length YKK® Vislon® zipper for easy opening and closing. Mesh back for full breathability.